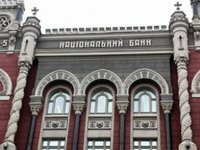 Debt of solvent banks to the National Bank of Ukraine (NBU) for refinancing loans totals UAH 15.2 billion, and this is UAH 7.7 billion less than early this year, the central bank has reported on its website. The NBU said that on April 4 Oschadbank (Kyiv) early repaid its debt, returning UAH 2 billion. A lion's share of the debt belongs to another state-run bank – PrivatBank (Dnipro) owing UAH 14.4 billion to the central bank. "At present almost all operating banks have paid their debts on refinancing loans to the regulator. The active return of refinancing loans is the best evidence of restoration of the Ukrainian banking system under the NBU policy," NBU Governor Valeriya Gontareva said. The NBU said that the debt of insolvent banks totals UAH 45.2 billion. The largest debtors are bank Nadra (owner Dmytro Firtash) with UAH 9.8 billion, Delta Bank (Mykola Lahun) with UAH 8 billion, bank Financial Initiative with UAH 7.2 billion and VAB Bank with UAH 3 billion (owner of the two banks is Oleh Bakhmatiuk), bank Finance and Credit (Kostiantyn Zhevaho) with UAH 6.3 billion and IMEXBANK (Leonid Klymov) with UAH 3.4 billion. "If the above-mentioned owners believe that that with the loss of the bank they got rid of the necessity of returning the debts, in particular, to the NBU, they are gravely mistaken. My position is always clear: they would have to return everything until the last kopeck to the state and we would do our best to achieve this," Gontareva said. The NBU said that in 2015-2016 the regulator sent 12 applications on committing crimes by shareholders of these banks to law enforcement agencies and initiated 44 court hearings to collect the debt to the NBU from guarantors of these banks. "NBU top managers would continue cooperation with law enforcers to punish managers and owners of these banks," the central bank said.